On November 28, 2017 Christie's managed to leave us speechless once again. The Magnificent Jewels auction held in Hong Kong presented some really marvelous pieces, but there was one lot that really stood out from the rest; The Pink Promise. Despite briefly mentioning the stone in our 7 Best Diamonds of 2017 post we just couldn’t sit idle and not pay tribute to a stone so magnificent it was described as the “Picasso of the Pink Diamond world”. No matter the angle or setting in which one looks at this stone, it will never cease to amaze. The Pink Promise can truly be considered a piece of art. This 14.93 carat, type IIa, oval mixed cut, VVS1, was given a Fancy Vivid Pink grading by the GIA, the highest possible grading for a colored diamond. To top it all off, the diamond was set into a beautiful platinum ring and is surrounded by small circular cut, colorless stones. The price for this magnificent piece; a very impressive $31.86 million. The stone was originally purchased by renowned gemologist and jeweler Stephen Silver back in 2013 for an undisclosed amount. At that time the Pink Promise looked much different than its current prowess. Weighing in at 16.21 carats and holding a Fancy Intense Pink color grading the diamond was already magnificent, but Silver saw potential far greater than that of its initial form. He believed that the stone could achieve a higher color rating if it were cut differently to allow more light through it. With great confidence and determination Silver turned to a master gem cutter with whom he spent several years studying and planning how to cut this rare pink gem. Re-cutting the original 16.21 carat diamond however would be no easy feat and the process alone held substantial risk. Why? Because if the saturation of the stone did not increase (did not achieve a higher color rating), they would essentially be shaving millions of dollars of the stone’s value by reducing its carat weight. Fortunately, the high risk reaped high rewards. The now 14.93 carat diamond would eventually be re-certified by the GIA, by which it would eventually be upgraded to an incredibly rare Fancy Vivid Pink rating, the highest possible grade for a pink stone. It’s color saturation was not the only thing to receive higher grading by the GIA. The Pink Promise was also given a VVS1 clarity rating, just one grade beneath Internally Flawless. It goes without saying that despite the small decrease in size, the value of the diamond exponentially increased. The Pink Promise’s name symbolizes exactly that; a promise. More specifically it symbolizes the fruition of its owner’s word to transform the already beautiful stone to a brighter, more saturated masterpiece. This was not the only time Silver “wowed” the world with his vision and results. Two famous results of his “re-imagined” work are “The Million Dollar Pumpkin” and the “Cullinan Blue Diamond Necklace” which he acquired and donated to the Smithsonian National Museum of Natural History back in 2010. Despite its massive price tag, it’s truly mind boggling price per carat yield fell just short of a world record for pink diamonds. The current record holder is the Vivid Pink Diamond. 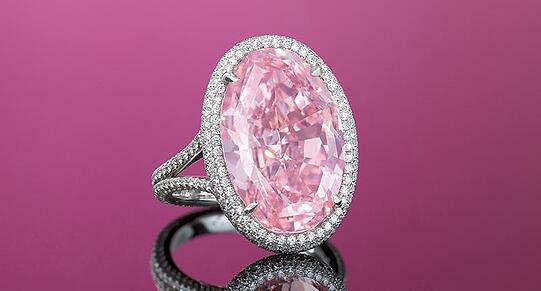 The 5 carat, cushion cut, fancy vivid pink stone was sold during the 2009 Christie’s in Hong Kong December sale. The Vivid Pink ultimately went on to fetch $10.78 million, yielding an astonishing $2.16 per carat, setting a new price per carat record for the pink gem category and has reigned supreme ever since. What was your opinion on this magnificent diamond? Is it truly the “Picasso of Pink Diamonds?” What other diamonds can be considered a work of art? Let us know! And as always feel free to follow us on Twitter and like us on Facebook. 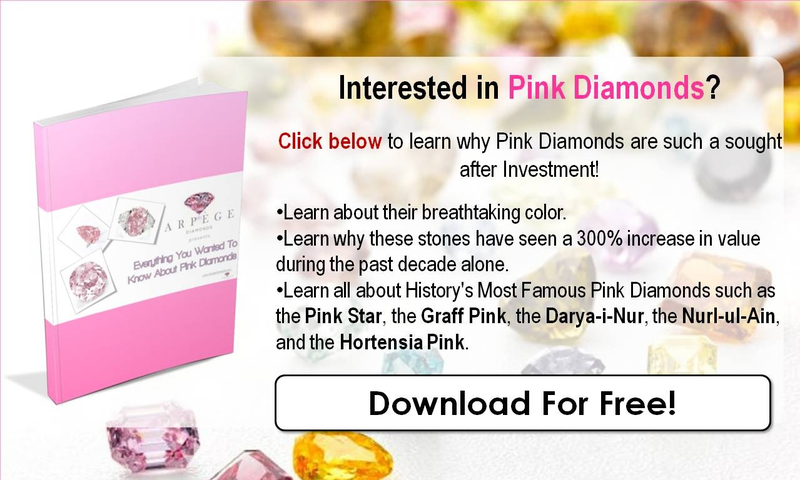 The Pink Diamond Investment. Is It In Your Portfolio?